Buying computers has always been the traditional way of securing tech for your business, but it’s now outdated. The high upfront cost of computers, aligned with super fast development and upgrades, results in a frustrated workforce, crippled cash flow, and a cupboard of old computers you can’t even give away! There is a better way! It’s familiar too. Subscribing, or leasing, exactly what you need: mobile phones, cars, extra TV channels, or office space. Now with HardSoft, that’s true for all the latest Apple Macs, Microsoft Surface products, or any IT hardware imaginable. Agree on a pay monthly subscription for any of these, and do it without a deposit. HardSoft is the UK’s most influential and experienced service company in the computer subscription and leasing market and offers a fully inclusive 3-year warranty plus 360° service wrapper. 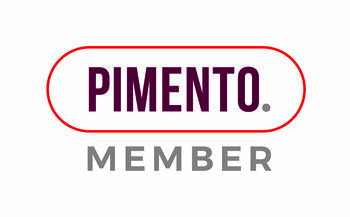 Pimento has teamed up with HardSoft as a preferred supplier to offer members access to all their solutions along with an introductory 5% discount on their first subscription or lease. Fantastic Value: Get all the latest tech for less than the price of a daily coffee. Tax efficient IT solutions that are great for cash flow. Awesome Choice: All the latest Apple Macs and PC’s – Laptops, Desktops, Servers and Software – plus Storage from Synology and QNAP. Real Flexibility: Add more tech as and when you need it. Some subscription solutions also allow you to return or buy the tech for just £1 at the end. Swift Finance: We have broad access to UK finance markets to secure you the best deal. We approve 98% of applications — in just 24 hours. Full Support: With 3-year warranties, qualified tech & support teams on call and next day delivered loan Devices if needed. Join over 5,000 happy customers. HardSoft has built lasting relationships with all of our current 5,000 customers. Innovative, and leasing since 1984, we’ve earned highly trusted reviews on Trustpilot, Feefo and are authorised by the FCA. Remember, these new subscription packages are tax efficient and cash flow friendly as they are treated as OpEx rather than CapEx. Call HardSoft on 020 7111 1643 for more information and to secure the right IT solution for your business. Quote the reference Pimento to redeem your 5% discount.